.. 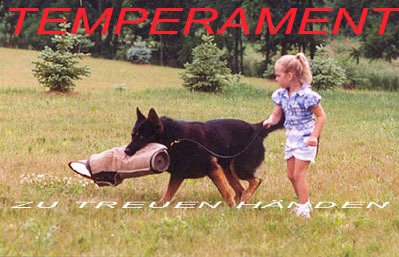 It takes a certain kind of dog to do this work, be it Schutzhund or police/patrol dog, one with superior temperament, courage and drives, healthy, predictable, discriminating aggression (meaning that they can be easily taught when and when NOT to bite), nerve stability and the ability to control its drives under stress. 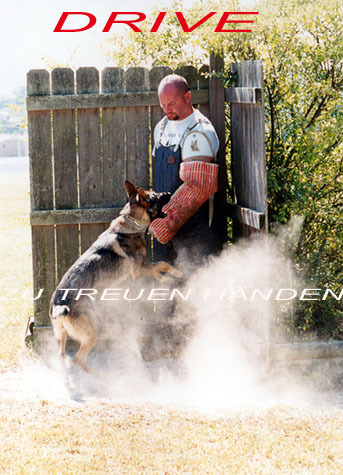 Only this kind of dog is capable of the feats of not being aggressive except in specific situations it is trained to face, when there is a threat of him or his handler being hurt, and even then it must always be under absolute control of the handler. Many, many dogs are not cut out for this sport or any kind of protection training. The above tests are difficult enough, but to make it even more demanding, they all happen in one day, except in the championship trials where the tracking may be held on a different day from the other two phases, split due to the large number of entries and the locations of the tracking fields. These trials are held by local clubs, in Regional, National, and World Championships. The maximum number of points that a dog can achieve in each phase is 100 pts for a total of 300. The minimum score to pass is 70-70-80 = 220 total. 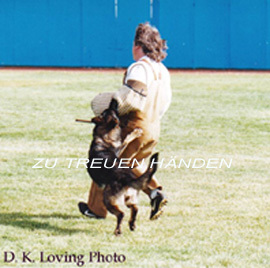 When a dog successfully completes the first trial, it is awarded a title of Schutzhund 1 (SchH1), it can progress to SchH2, and then to the ultimate, SchH3, which is the competition level. 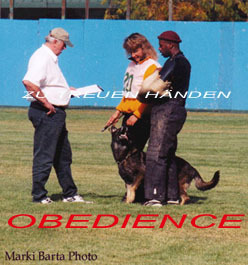 Each level makes greater demands on the dog and training in all three areas. 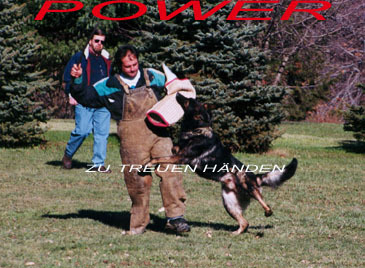 Any Schutzhunder will tell you that a high scoring SchH3 dog can be the ultimate working dog, one in thousands of working dogs. 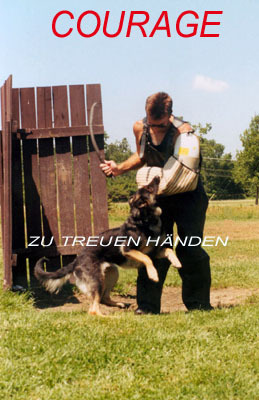 In addition to the SchH1, 2, and 3 titles, other titles can be achieved in advanced tracking (FH1 and FH2); the BH (similar to the CD and CGC combined), which is the temperament test that is required before titling in the SchH trials; police dog training titles (DPO1 and 2), where the dog and handler have to be active K9 officers; and an endurance test (the AD), where the dog has to complete 12.5 miles at a certain speed mext to a bicycle. Today Schutzhund is more than the small group that started in Germany one hundred years ago. Its organizations have several hundred thousand members, scattered across Europe, North America, and most other continents. Avanti Kartäuserweiher SchH3 in the escape.